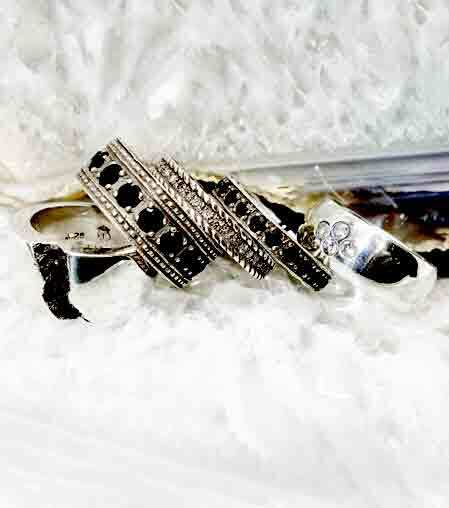 Shop our fine assortment of kitchenware. From matches to candles, accent your kitchen and home with the most unique decorations on the market. 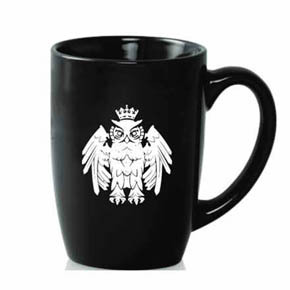 Ceramic black coffee mug that displays an owl king rendered with a heraldic style in white. 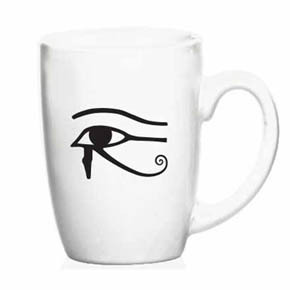 This ceramic white coffee mug features the Egyptian Eye of Horus in black. 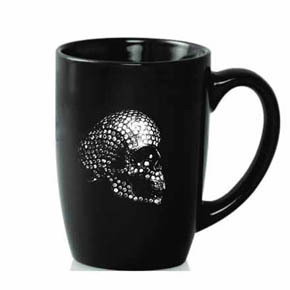 High quality black ceramic coffee mug displays striking diamond encrusted skull from Lazaro Jewelry. 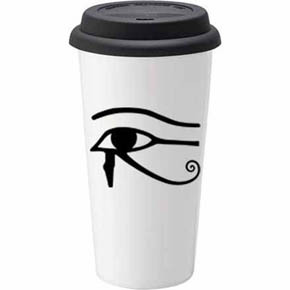 This well insulated double wall white coffee cup is a travel mug, bearing the iconic Eye of Horus in black, and comes with a black snap on silicone lid. 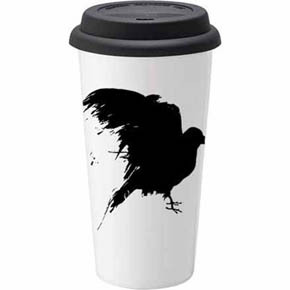 Durable double wall white ceramic travel mug with a black lid made of silicone is well insulated, reusable, and depicts a raven in black silhouette.